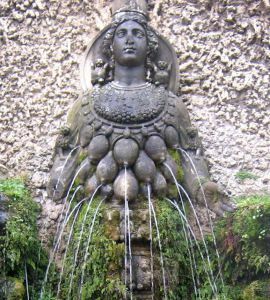 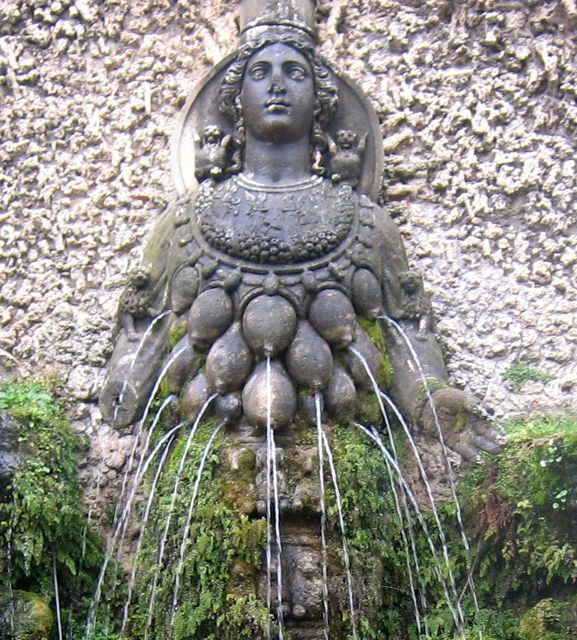 ← Kissed by Caesar. . . .
Diana of Ephesus, the symbol of abundance, graces the garden at the Villa d’Este.